We are all about helping you stay on task, keep organized and of course stay in budget. Creating great menu plans each week is all part of that! 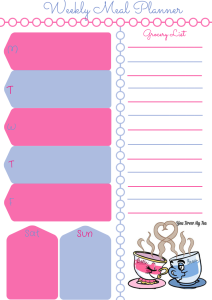 Here is our very own Free Weekly Meal Plan Printable! Not only are we hoping to encourage you to create a simple and easy menu for your family, but we are giving you something to do that with that will hopefully be fun and easy for you to use! 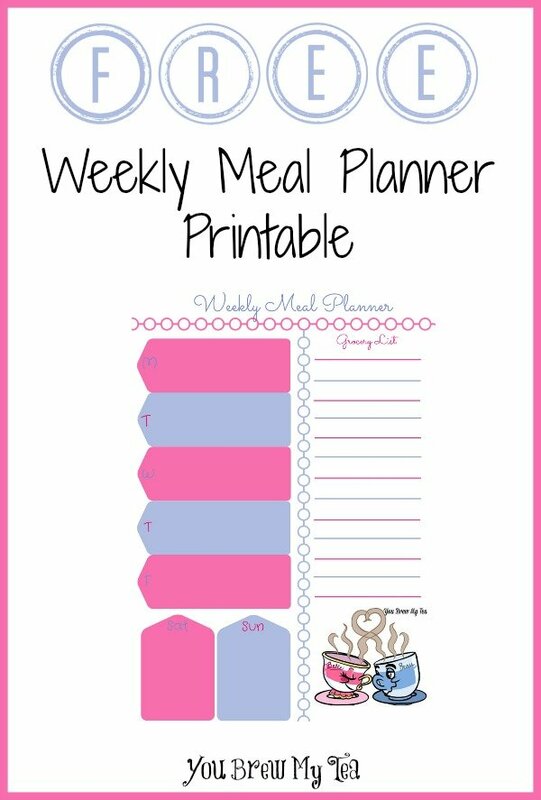 This great free printable weekly meal plan includes not only the 7 days of the week, but an area for a simple grocery list. This is great for posting on your refrigerator or sliding into your family binder to keep track of what you will be having each night. Meal planning can help keep your budget in check. It can also help keep you in focus with your diet plans. By taking the time each week to jot down a few simple things you want to have for even just evening meals, you can shave hundreds of dollars off your annual grocery budget. No more last minute take out. No more stressful evenings trying to decide who is going to cook what. Planning ahead takes the burden off of you and gives you a great ready made plan that everyone in the house can easily follow. Here are some of our favorite recipes to add to your weekly meal plan this week!